Petrichor...a word for the pleasant aroma of the earth after a cool rain on a dry land. 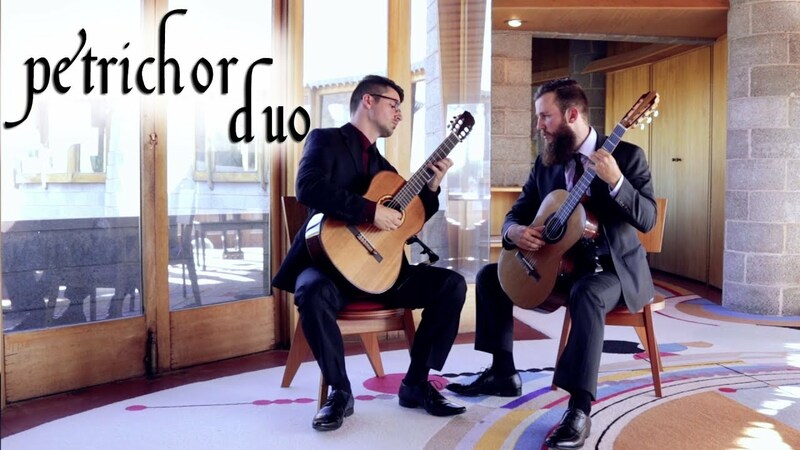 The refreshingly refined sound of the Petrichor Duo is equally fitting on the concert stage and in a crowded bar or restaurant. 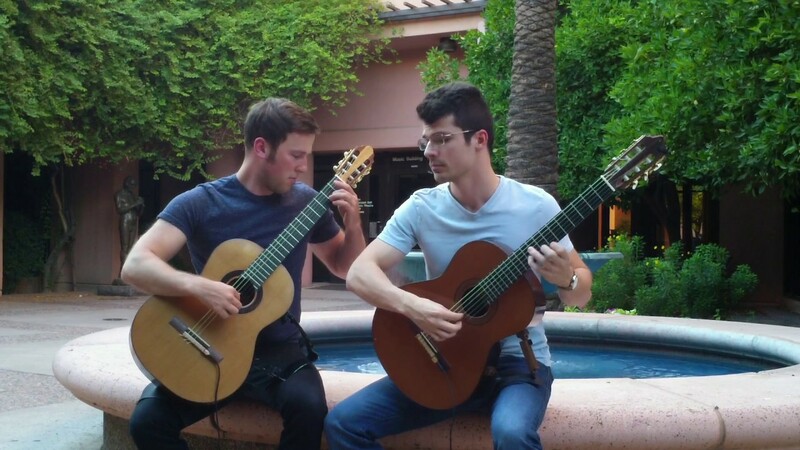 Guitarists John Oeth and Andrew Smith met while they were Teaching Assistants pursuing graduate studies in music at ASU. 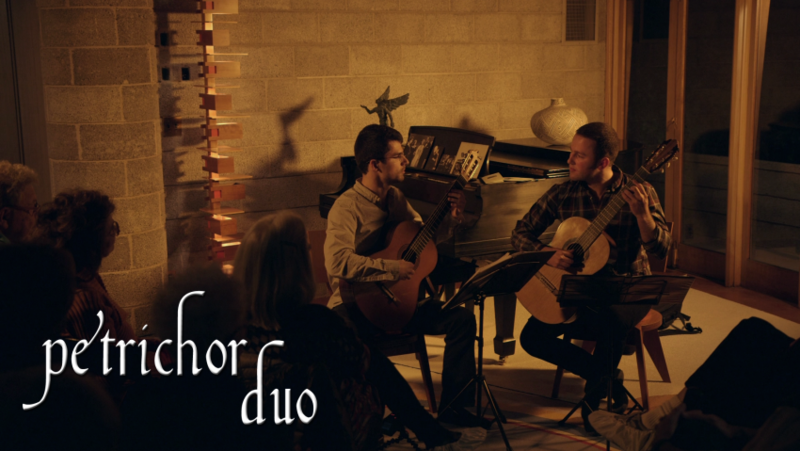 The Petrichor Duo brings their expertise and chemistry to recently composed music, including pieces written specifically for their duo. They are also excited by interesting guitar music in any genre and regularly play their own arrangements of pop songs and jazz tunes. They were perfect for event. Great background. Would highly recommend. My wife and I had Petrichor Duo perform for our wedding ceremony and cocktail hour last month in Laveen, AZ. They are amazing performers! We received so many positive comments about them. I highly recommend them! 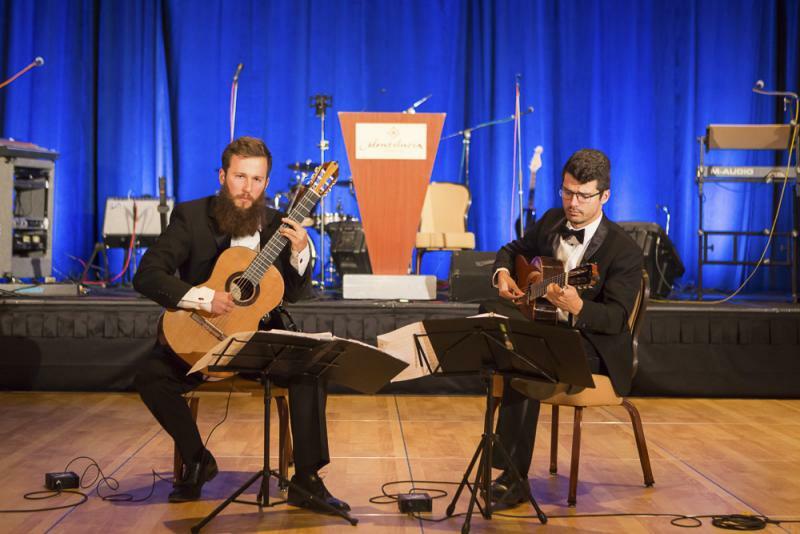 I hired John and Andrew to play acoustic guitar at my wedding ceremony. The ceremony was at an outdoor garden and the acoustic guitars fit perfectly with the atmosphere. They supplied their own equipment and the volume was perfect. 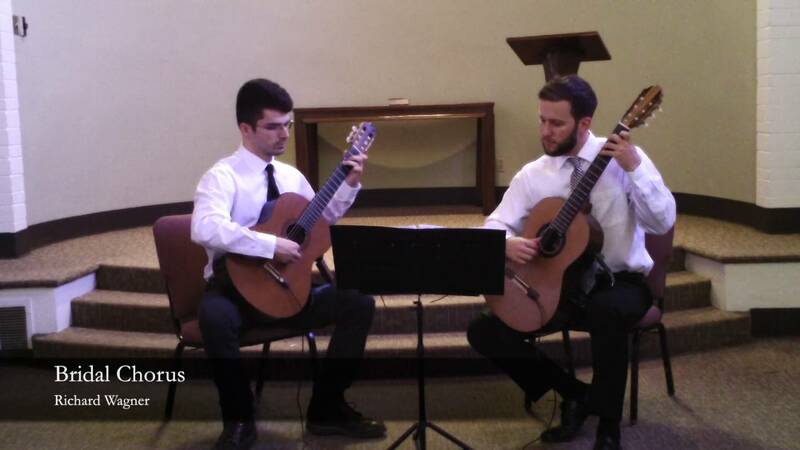 They are both extremely talented musicians and are able to learn whatever song selections you request. They sent me a short video clip of one of my song requests which was very helpful so I could confirm it was the sound I was looking for. They also attended our rehearsal which was very helpful and appreciated. Very nice and professional.